Two north suburban teenagers were killed in a Monday night crash when their SUV veered off the road and slammed into a tree in Antioch. Authorities say 16-year-old Joel Wittkamp was driving the 2007 Chevrolet Trailblazer when he lost control and drove off the 270000 block of Wilmot Road at about 7 p.m. The vehicle plowed through a yard and struck a tree, partially uprooting it, police said. Wittkamp and his passenger, 17-year-old Ashley Seay, were both pronounced dead at the scene. Family and friends said the pair were dating. "A primary factor in this was road conditions," said a Lake County Deputy Coroner. They were pretty bad last night." Two teens were traveling in an SUV Monday night when the vehicle left the road, plowed through a yard and struck a tree, partially uprooting it, police said. 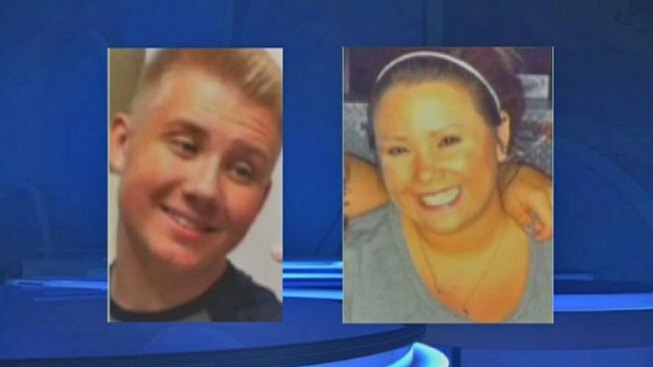 The family of Wittkamp, a student at Antioch High School, declined a request to speak with NBC Chicago. Seay came from a large family and had younger twin sisters, a cousin said Tuesday. She was a student at Lakes Community High School in Lake Villa and spent part of her afternoons at the Lake County High Schools Technology Campus in Grayslake studying cosmetology. Lakes Community High School principal Steve Plank said he believes Seay's death is the first student death in the nine-year history of the school. "It's somber. It's quiet," he said. "It's a little bit erie in a high school upwards of 1,500 students. ... she was very pleasant, very happy, very engaging." Counselors were made available for students and staff who needed them, Plank said. "We've heard from her most immediate circle of friends and wanted to provide them with adequate support to get through the day. Some decided to go home to be with their families," Plank said. The accident remains under investigation. Results of toxicology tests should be available in about 10 days, an official said. Funeral service arrangements had not been made by Tuesday afternoon.